Pigeonpea (Cajanus cajan) is the sixth most important edible legume crop globally, with 5.9 million cultivated hectares. Pigeonpea (Cajanus cajan) is a member of the Fabaceae family and has many wild relatives. These include C. scarabaeoides, C. sericeus, C. acutifolius, C. albicans, Rhynchosia aurea, R. bracteata and Flemingia bracteata. Pigeonpea was domesticated in India some 3500 years ago. It spread rapidly to East and West Africa and thence via the slave trade to the Americas. India, Myanmar, Malawi, Tanzania and Kenya are among the world’s top producers. It is used for both human nutrition and animal fodder. As with other legumes, it is sometimes used as green manure. Thanks to its tolerance to dry and hot conditions, it is an important crop in semi-arid conditions. 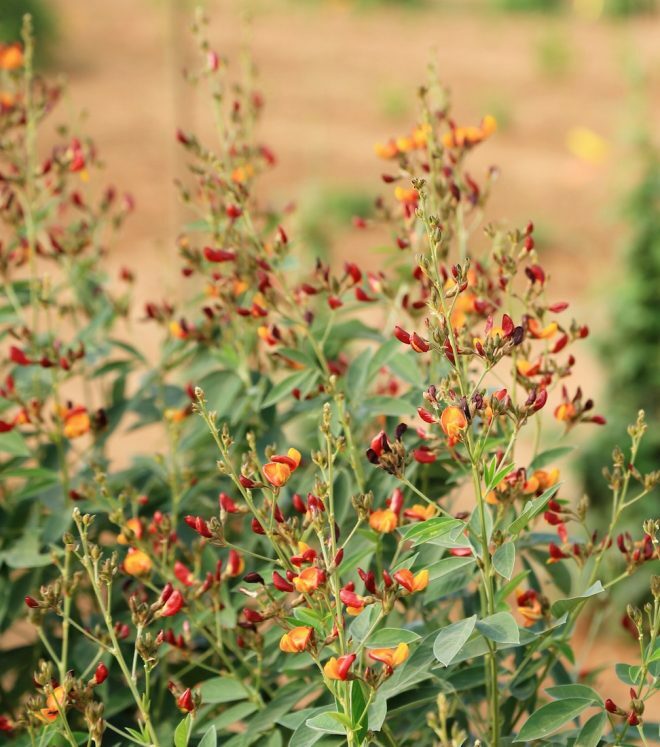 Pigeonpea is found in both annual and perennial forms and can reach a height of 1–3 meters. Because it has deep roots, it is widely adapted and grows well in semi-arid areas. It has slender, pointed trifoliate leaves and yellow or yellow and red flowers. Pigeonpea is often cross-pollinated by bees (Megachile spp.). The level of cross-pollination between plants ranges from 0–40%, depending on genotype and insect pollinator populations, and so care should be taken during regeneration to preserve the genetic integrity of accessions. The largest genebank collection is held by ICRISAT in India. Other genebank collections are relatively small.